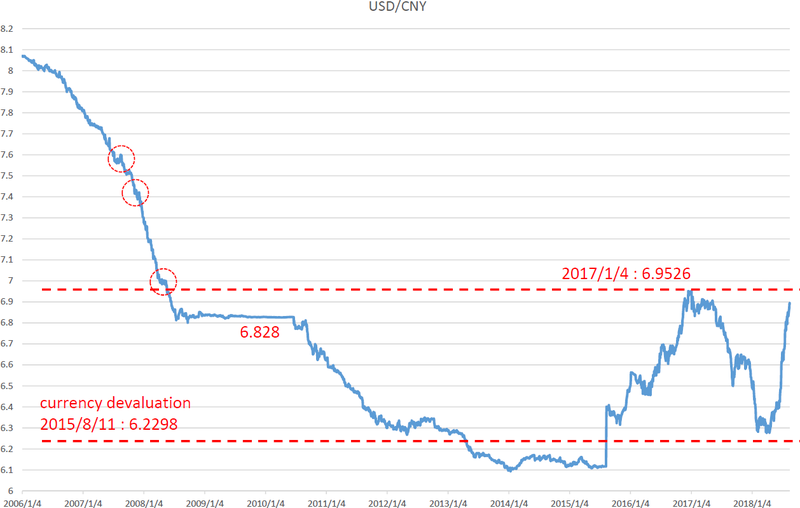 USDCNY daily; if Yuan will get stronger and 6.828Yen over, crisis will end; cutting 7Yen over, the price will reach 7.4.-7.6Yen. 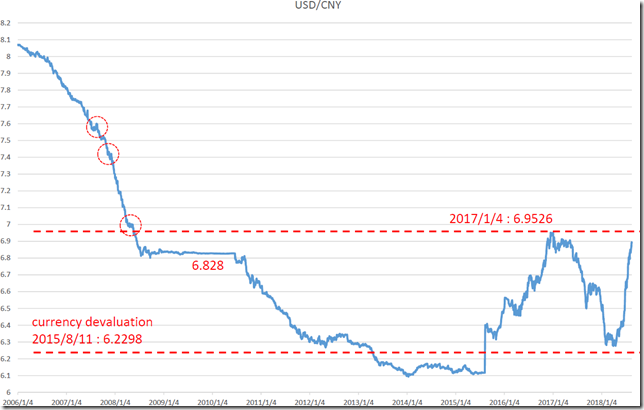 Our conclusion is if Yuan will get stronger and 6.828Yen over, crisis will end; cutting 7Yen over, the price will reach 7.4.-7.6Yen. 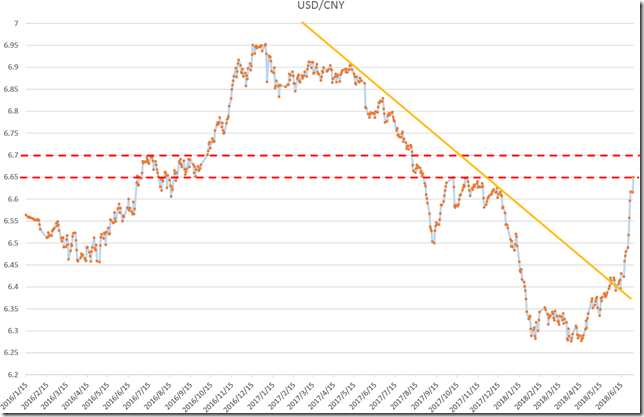 We use the data of People’s Bank of China. Now is still targeting 7 Yuan around. We need to watch the price will go 1/4/2017 high over or not. 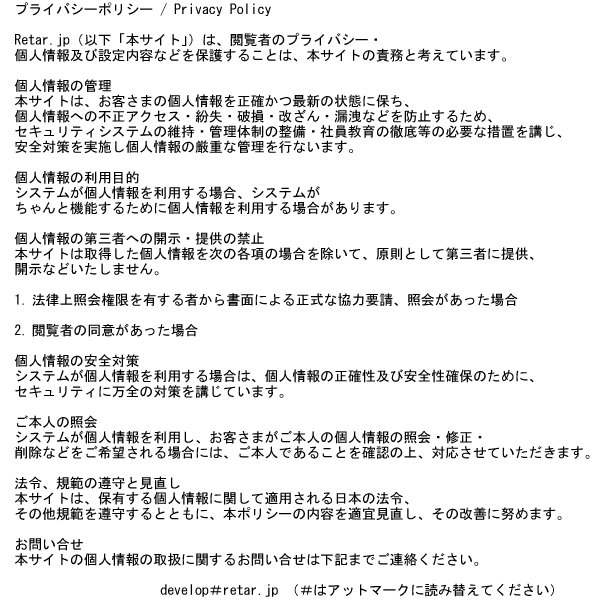 We can provide two scenario. 1. 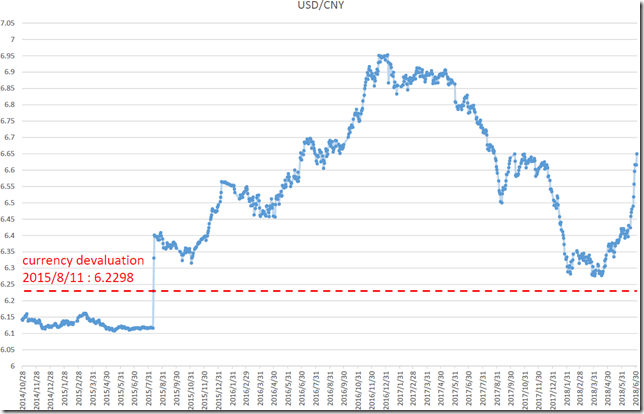 The range will fix from 6.9526yen to 6.828yen. Probably authorities have confidence to fix. 2. Break from 7yen and reach 7.4-7.6yen around. 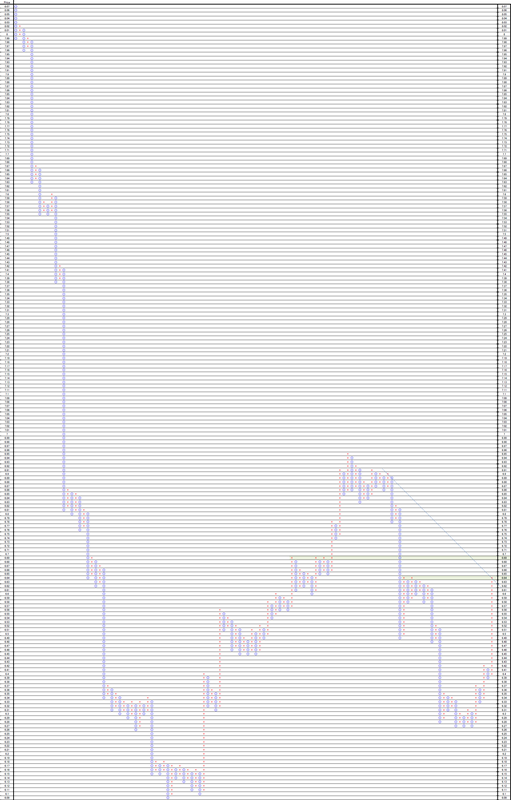 The price did not reach 7 yen and the rally reached the target. 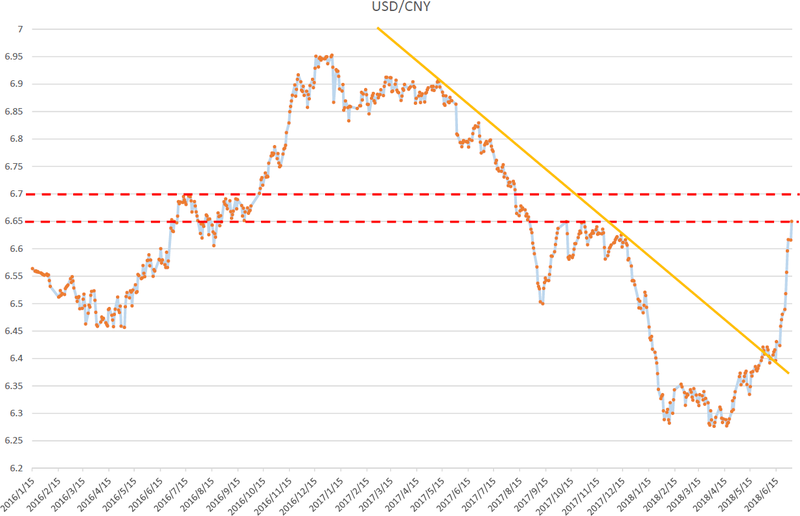 USDCNY daily; if 6.65-6.7Yen will not work as resistance, the price will challenge 7 Yen; the final resistance on P&F works well. 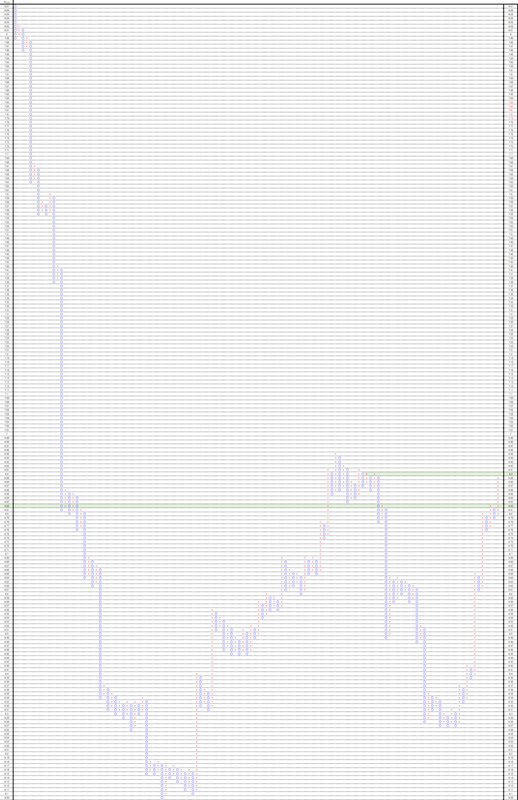 If 6.65-6.7Yen will not work as resistance, the price will challenge 7 Yen. 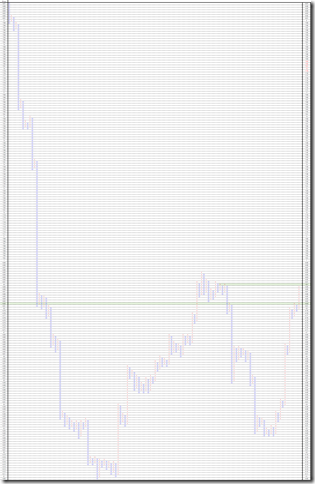 6.7-6.65 yen worked as resistance. 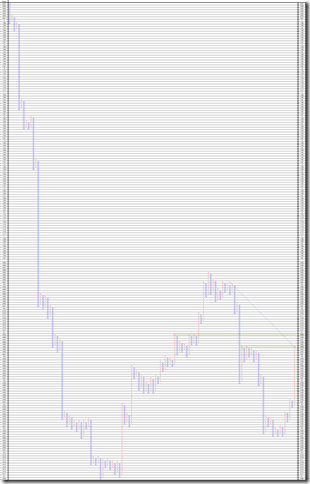 If the price will not stop falling around this point, the next target will be 7 yen around. 45 degree resistance works well.